Weight capacity 50kg. Pad size 115mm. 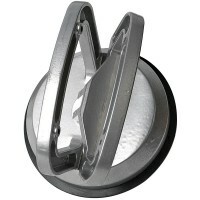 Aluminium suction cup. Ideal for carr.. Weight capacity 100kg. Pad size 115mm. 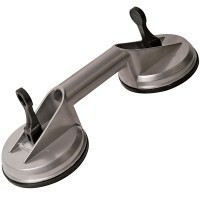 Aluminium suction cup. Ideal for car.. Weight capacity 120kg. Pad size 115mm. 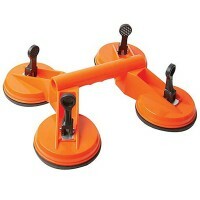 Plastic quad suction cup. 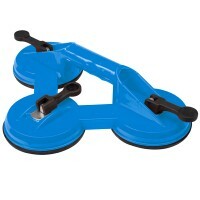 Ideal for ..
Faithfull FAISUCPAD2 Double Suction Lifter Pad Features The Faithfull double pad suction .. Weight capacity 100kg. Pad size 115mm. 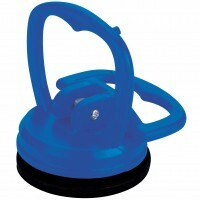 Plastic triple suction cup. Ideal fo.. Weight capacity 35kg. Pad size 115mm. 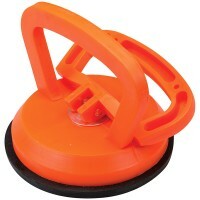 Plastic suction cup. Ideal for carryi.. Weight capacity 15kg. Pad size 55mm. 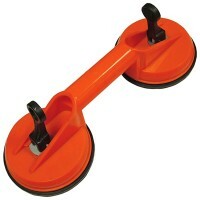 Plastic suction cup. Ideal for carryin.. Weight capacity 70kg. Pad size 115mm. 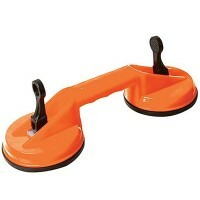 Plastic double suction cup. 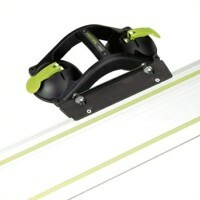 Ideal for..
Festool 493507 Gecko Dosh Dual Suction Pad - 50kg Capacity Features Designed for used wit..